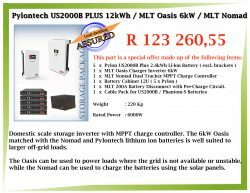 The 5.04kWh load shed kit is suitable for a few Lights/Television/Decoder/ADSL/Laptop/PC/Fridge. 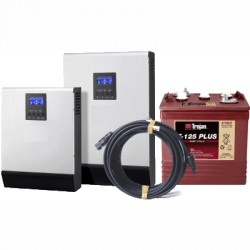 The inverter can be wired into a distribution board or a pre-designated red circuit. A red circuit is a breaker on your distribution board that will have all your persistent (immune to power outage) loads connected to it. Naturally you can also wire in an extension lead type plug point (included) but ideally, this inverter should be a more permanent fixture. 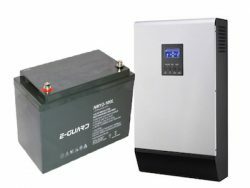 The system has a largish inverter(2.4kW) and a decent battery capacity. The total expected operation of this system is 1008 watts per hour during load shed, any more would not allow you to sustain a 2.5-hour load shed. You can of course easily add on an additional battery or 2 and get the maximum benefit. That said, you can power quite a bit with 1008 watts. An additional benefit of the system is the inverter which has its own built-in charger, thus the system is completely self-sustaining and does not require management or user intervention. It automatically kicks in when load shedding starts and automatically charges the battery when load shedding ends. You would not notice a load shed for anything connected to that system. The Axpert is the top sold inverter in the country, its a hardy piece of equipment, looks great and is good value for money. Should there be any problem on the inverter it is locally supported. 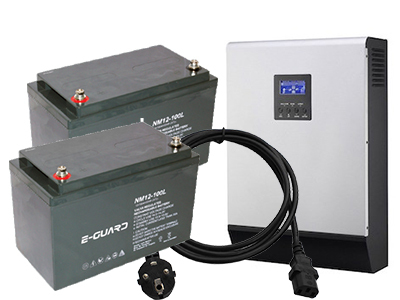 The battery is a standard issue AGM/GEL UPS battery and doesnt require ventilation.